If the thought of pancakes or crepes only evokes images of syrup, chocolate chips, blueberries, and whipped cream, then you haven't lived! 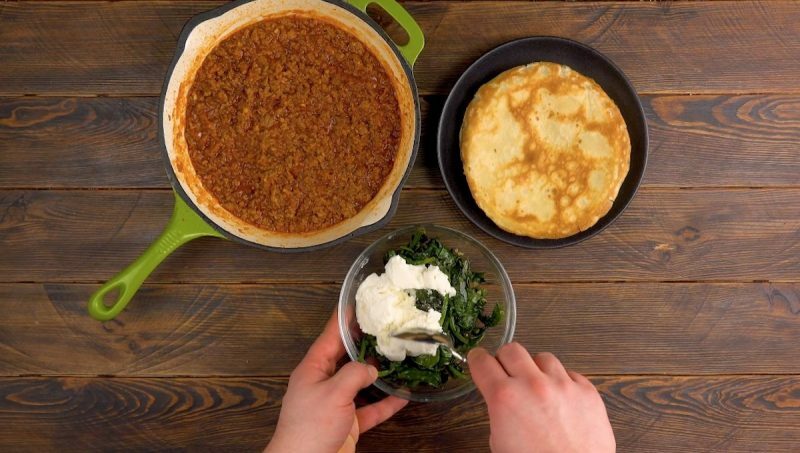 Hearty pancakes are where it's really at, and best of all, you can eat them any time of the day – no need to wait until breakfast. Feel free to whip up a batch of spiced beef-filled rolls, creamy vegetarian rolls, or you can also go with a combination of the two to suit all the tastes of your dinner guests. Whatever you go with, you'll love just how versatile Brazilian pancakes can be. 1. Preheat the oven to 350°F and prepare the pancake batter. Mix all the ingredients until smooth and let sit for 15 minutes. Coat a pan over medium heat with a little oil and add a ladle of batter. 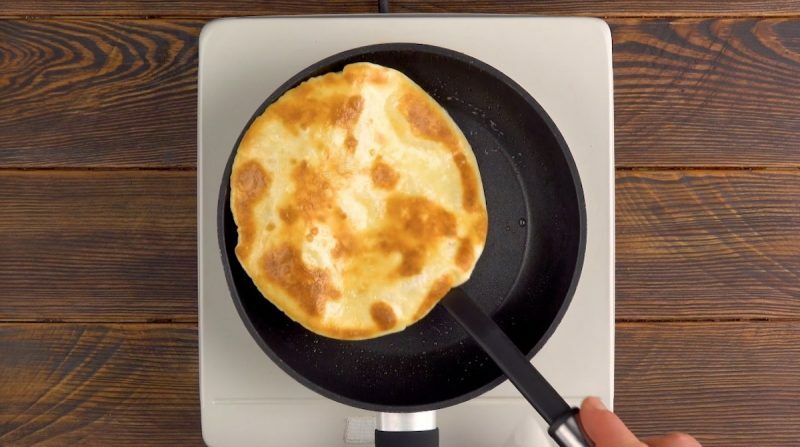 Once bubbles start to form on the surface of the pancake, flip it over and cook the other side for about 30 seconds. Make 7 more pancakes and set aside. 2. Heat a pan on medium heat with a little olive oil. Cut and chop the rump roast to ground beef consistency and cook it in the pan with the onions and garlic. Add the tomato paste and season with salt and pepper. Stir in the water and let simmer for about 5 minutes. 3. For the spinach ricotta filling, sweat the onions and garlic, add the spinach, and season with salt and pepper. Add the cooked spinach to a bowl and let it cool slightly before mixing in the ricotta cheese. 4. 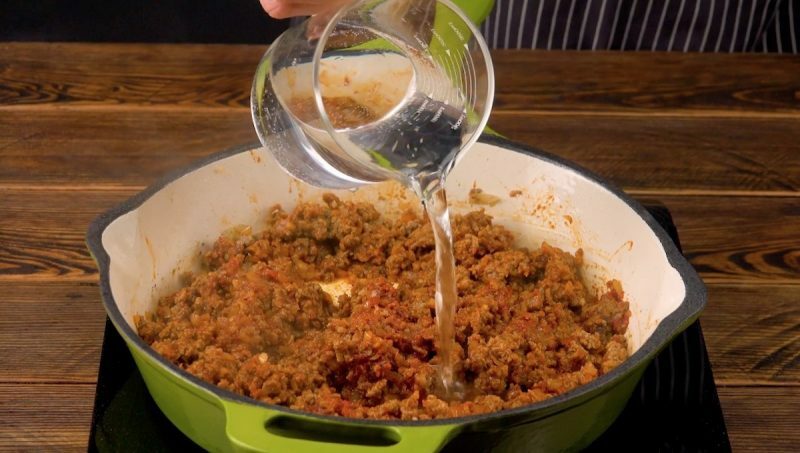 For the homemade tomato sauce, briefly fry the chopped tomatoes before pouring in the tomato puree. Season with salt and pepper and bring to a boil. 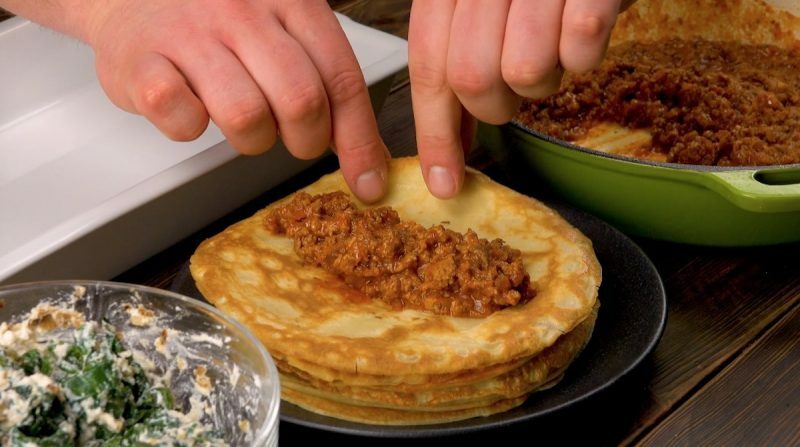 Meanwhile, prepare the stuffed pancakes, roll them up, and put them in a casserole dish. 5. 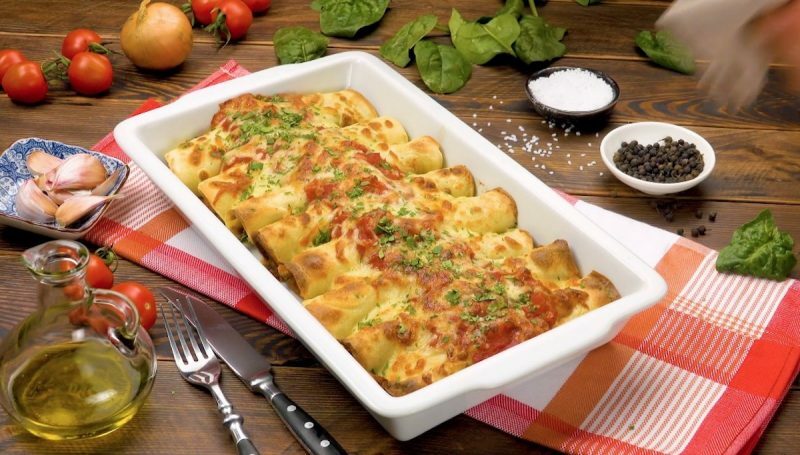 Pour the homemade tomato sauce over the pancake rolls, sprinkle mozzarella cheese on top, and bake for 15 minutes. Top off with fresh garden herbs such as basil or parsley. Obrigado! You can find the recipe for the Chicken Crêpe Bake featured in the bonus video here.